All-new T-shirt inspired by the game. To commemorate the release of the rhythm game "THE CHiRAL NIGHT rhythm carnival," we're please to present a new series of original t-shirt designs inspired by images from the game. There are 3 designs in total - "Marching," "City," and "Star" - available in both M and L sizes. Choose the ones that suit you like best! 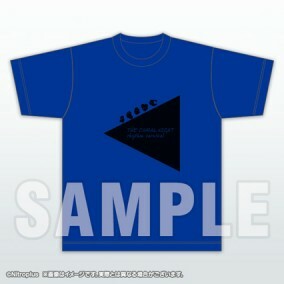 This listing is for the Original T-Shirt for rhythm carnival (Marching) in M-Size. ・Please check size measurements carefully before ordering. Products cannot be exchanged or returned.